Leading owners Paul and Clare Rooney have told trainers they do not want their horses to race at Cheltenham. The Rooneys are said to be concerned the home of jump racing could pose an increased risk of injury to their horses, according to reports. Starchitect, owned by the couple, broke a leg when leading in the Caspian Caviar Gold Cup at the track in December 2017 and had to be put down. Cheltenham officials plan to contact the owners in the near future. Paul Rooney, 71, and wife Clare, 51, have made their concerns known in a letter to their trainers, reported the Racing Post. The couple are currently second in the British jumps owners championship behind JP McManus, with prize money totalling more than £300,000 so far this season. Theyhad a winner at the Cheltenham Festival in 2017, when Willoughby Court carried their dark blue and yellow colours to victory in the Neptune Novices’ Hurdle. Having had 17 runners at the Gloucestershire track last season, the Rooneys have only had two there this winter and none since Lovely Job was fifth over fences in November, reported the Guardian. One For Billy, owned by the pair, looked set to win at Cheltenham in October when he ran the wrong way on the run-in, crashing through a tape intended to keep the runners straight past an intersection. Former jump jockey Jason Maguire, the Rooneys’ racing manager, has declined to comment on the reports. 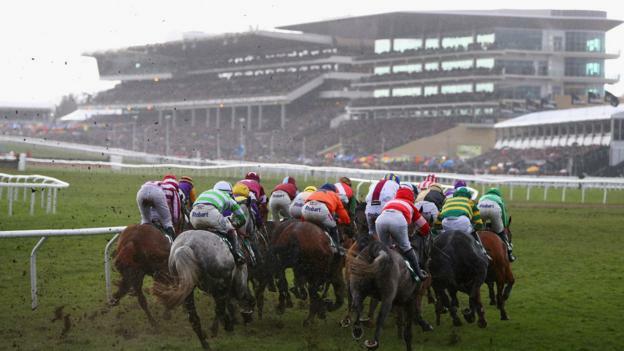 Last month, a review into the deaths of six horses at the showpiece Cheltenham Festival meeting warned welfare issues threaten the future of the sport if not addressed. It emerged a seventh horse, Melrose Boy, was put down as a result of an injury sustained in the March fixture. Extra veterinary checks, alterations to some race conditions and a major project to study faller rates are among 17 recommendations from the review. The BBC revealed that controversial stronger deterrents to jockeys breaching the whip rules in British racing are on the horizon. Tougher penalties in big races are likely to be introduced to improve horse racing’s public image over welfare. While it is understood senior figures in racing are preparing for a possible ban on the use of the whip within three years, many within the sport regard serious injuries as the sport’s biggest issue. Pros and cons – could the whip be banned?